The discovery of nuclear magnetic resonance earned Felix Bloch and Ed Purcell the 1952 Nobel Prize in Physics. What their discovery took advantage of, is that protons are the world's smallest magnets. These tiny magnets can also be used to make a magnetometer, of the type described in this book. This book describes how to build a proton precession magnetometer, suitable for measurements of the Earth's magnetic field. This method of measuring magnetic fields offers the theoretically highest possible precision, limited only by the known value of the gyromagnetic ratio of the proton. Uses of the magnetometer include: making precise measurements of the Earth's magnetic field, calibrating low field magnetometers, teaching modern signal processing techniques, demonstrating nuclear magnetism and NMR to students, and measuring nuclear magnetic relaxation in liquids. 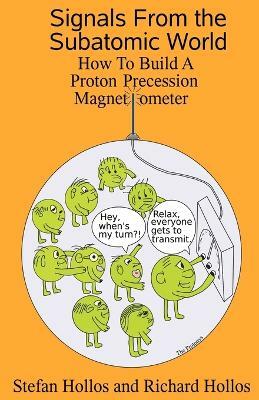 The Earth's field proton precession magnetometer, called the Magnum, described in this book, was formerly a commercial product, developed and sold by Exstrom Laboratories LLC. It was designed by Stefan Hollos and Richard Hollos.